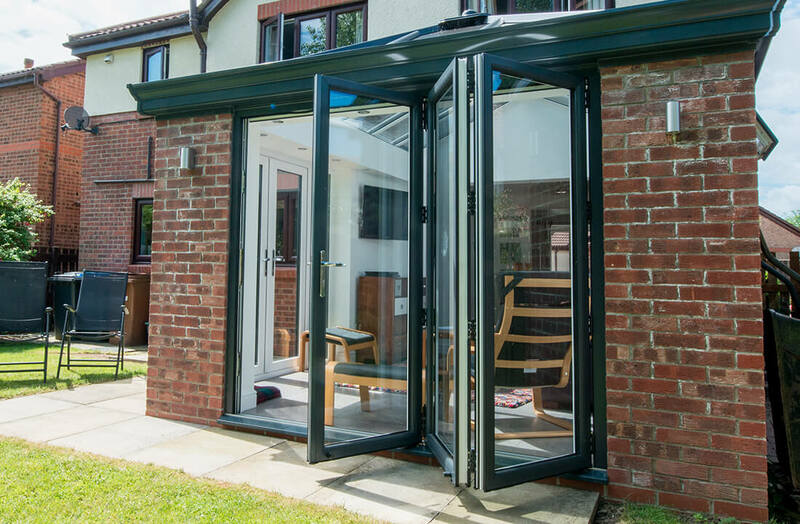 By far the most versatile patio entrance style, uPVC bifold doors can incorporate up to seven double glazing glass panels which can all be slide to one side and folded in on one another. 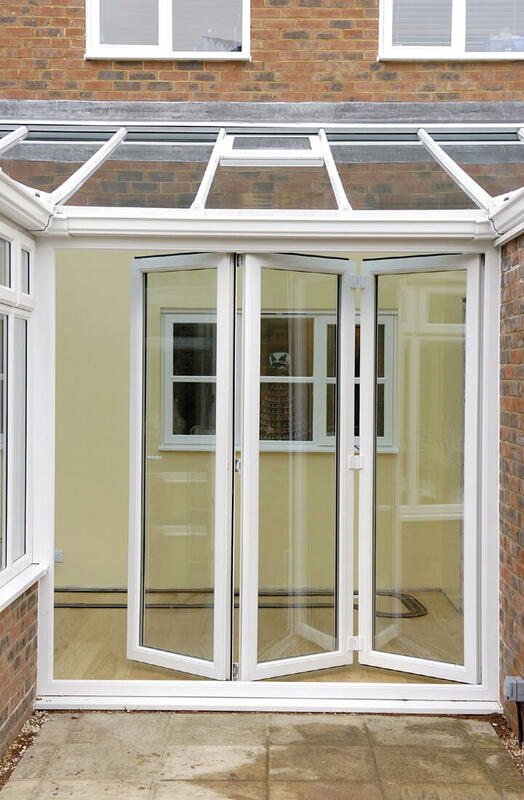 Strong and lightweight, they really open up the view of your garden while letting in light, sliding effortlessly to one side whenever you wish to step out. Those fitted by Northern Trade are made in-house in our factory using Veka uPVC’s Imagine system. This guarantees a notably sleek and stylish decorative door design you’d typically expect to find with aluminium, only more affordable while giving the impression of a living space that extends out to the garden. A true sense of open plan living is achieved! 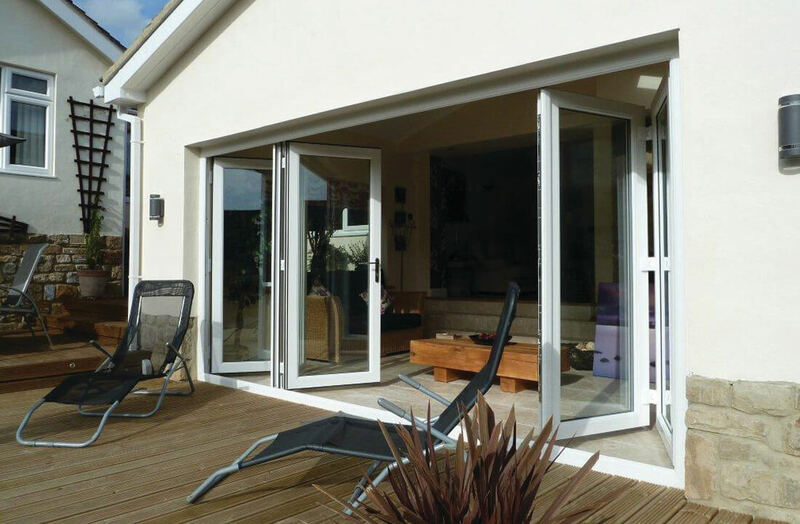 Bifold doors are an inherently contemporary design, featuring sleek frames and typically clean sightlines. Despite this, woodgrain foils are available for classical homeowners craving modern function in addition to standard tones. Assuring all our customers can sleep comfortably at night, Northern Trade’s bifold door sets integrate various security features from Yale which helps ward off unwanted visitors. Shootbolt locking, fixings, locks, and hinges all come together to exceed PAS 24 and SBD accreditation. 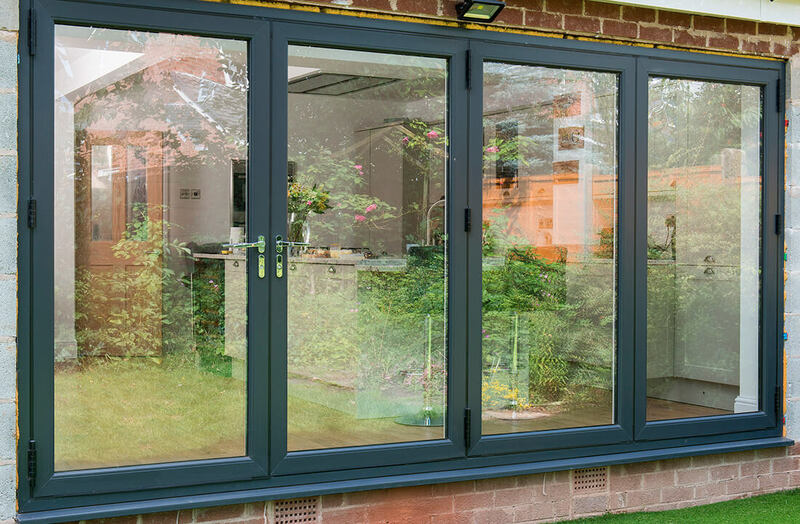 Bifold doors are fitted to be weathertight, with Saint Gobain 28mm Planitherm double glazing as standard to help stamp out draughts while also reducing energy costs. The result is an ‘A’ rating for energy efficiency with U-values of just 1.3W/m2k.